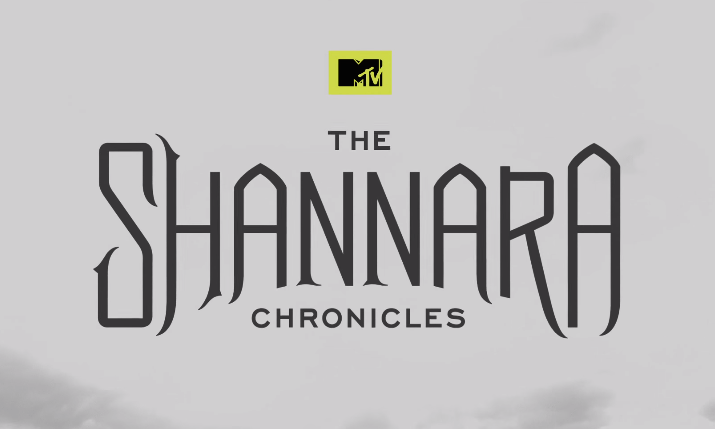 After a two hour premiere that moved so fast I was nearly discouraged from watching, Shannara has found its pace ! The third episode opens and Aunt Pyria has been killed by the demon fury and Allanon is seriously injured. Wil and Amerle set off to find some muddy substance that will cure him. Of course the task must be hindered in some way and who else but Eretria could ruin the moment ? 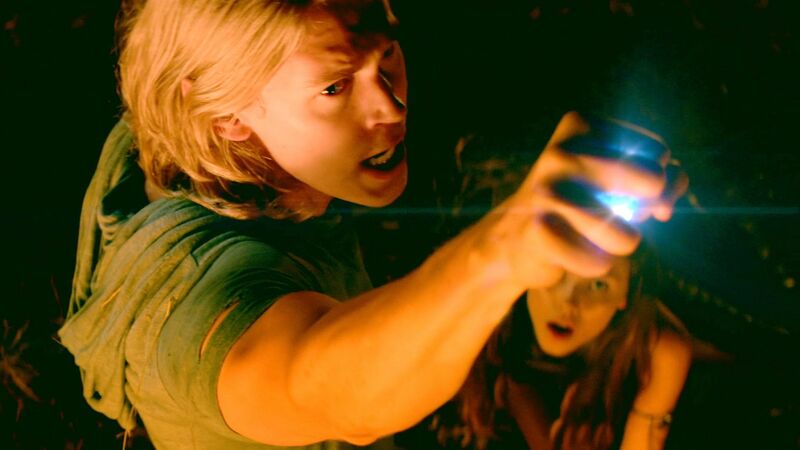 Yes, that nasty rover shows up at the right time to capture Wil and Amberle and take them to her father. Look, I’m going to be honest here. The back and forth with the knife to the throat was a little ridiculous. I mean how many times can that work on these folks in less than 10 minutes ? I’m also not a fan of Eretria’s father, Cephelo. The acting is so bad. So, so bad. I’ve seen James Remar is a few things and they were small parts. Like Dexter. LOVED Dexter and Remar did a good job in this series. I’m not impressed with his work in Shanara. I don’t know if it’s the writing or his acting. Now that I mention it I may as well confess. The female leads aren’t doing much for me either. Is there such a thing as over acting a part ? The facial expressions and the attempts at being sinister are a little bizarre in my opinion. Perhaps it’s the directing or even the writing. Anyway, I digress. So where were we ? Oh yes, our heros have been captured by the bad guys. During this time we actually see that Eretria may not be as full of bad assery as we thought. We know she wants to be free from her father and has a small splinter of humanity. Eretria gives Amberle two options, she can punch her in the face and run away or Eretria will kill her. Duh, easy choice ! Amberle instead decides to use her Elven skills and overtake Eretria. I see where this is going. After a scuffle we are now at the center of the rover camp with all of our characters and a Fury descends upon them ! I actually enjoyed this part because Wil FINALLY gets his hands on the Elfstones again and uses them. The visual effects they gave the stones were pretty cool ! Wil kills the fury and is knocked out while still in the hands of the bad guy Cephelo. We learned last week that unlike most of the inhabitants of The Four Lands Cephelo actually believes in the magic of the stones and demands Wil show him how to use them. Thank goodness Allanon comes to save the day ! Hooray ! Allanon is back and uninjured ! Gotta love that Druid magic ! The three heros now head back to Arborlon to get this “save the world expedition” under way ! But wait. There is still time (while the Ellcrys Tree is slowing withering away) for a rescue ! As they are traveling they come into a village that has been slaughtered by a demon. As the three are checking out the carnage they hear something moving in the out building. After a tense debate Amberle opens the door and we are introduced to Bandon. Bandon has been chained in here by his parents and is the only survivor of the village attack. This character isn’t in the book by Terry Brooks. I’m guessing he is an elf or half elf and has some sort of magic. Allanon says he senses Bandon is “Hiding his magic ability or doesn’t know how to use it”. Also, Bandon touched Amberle and sees her death. Now that’s definitely some sort of strange magic, right ? So we gather Bandon and we’re off to set things right with the Elven Council. You see, when Amberle ran away she essentially turned her back on her duties as a Chosen One and now must ask the Elven Council for forgiveness in order to save the Four Lands. Pfft, Elves and their fancy councils. Meantime Wil decides he will take his leave since he did as he promised in getting the Elven Princess back home safely. Of course he returns after a small conversation with Bandon and has to set the Council straight concerning Amberle. “She left to save you all. She returned to save you all”. The Council agrees Amberle is forgiven and now she must enter the Ellcrys tree to see if the tree will give her the world saving seed. What seed you ask ? Well the seed that must be thrown into the fires of Mordor ! Err..wait, not Mordor. I meant to say the magical fountain located in Safehold called Bloodfire. It’s a similar tale with the seed and the ring but hang in there with this one. If the series remains true to the books about the Ellcrys and her Chosen One it will be worth it ! The episode ends with Amberle entering the Ellcrys and we are left wondering if the tree finds her worthy or kills her. I definitely see potential in this series. I do like the way the story is flowing now and I’m SO anxious to see what other additions to the story MTV will make. I’m not a book fan that likes to see the screen versions exactly as they are written. I enjoy some of the liberties writers and directors take with the material. I’ve seen it work out really well with The Walking Dead and Dexter. I’ve also seen it end horribly like Outlander. Only time will tell but I’m going to stick it out to the end.